The genre known as Fantasy existed for many centuries and has stories of gods and monsters. Stories of Zeus, Hercules, Andromeda, and Poseidon were very popular in the Greek mythology. The stories of Arabian nights, Ancient Mythology (Beowulf), stories about the man on the moon and underground travels were also very popular. The fantasy elements could be easily recognized. Science fiction (sci-fi) on the other hand existed long before there was a term to describe it. According to James Gunn science fiction couldn’t exist until change created by science, technology , or natural events became apparent within the people’s lifetime. And that’s why according to him our current era is science fictional, because change is occurring constantly, and we have to adjust to the change or will be adjusted by it in the process. The terms science fiction didn’t exist until the mid 19th century. 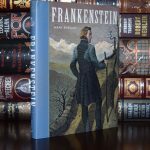 After the publication of Frankenstein by Mary Shelley (1818) many consider that this story gives true meaning to the term. It introduced the use of technology for the creation of unimaginable things for that time. Later in 1826 the author published a short story “Roger Dodsworth: The Reanimated Englishman” about a man frozen in ice that was revived in the present day introducing the now known science fiction theme of cryonics. An example in recent times that used and recreated this concept: this captain America the first avenger. Later in that same year (1826) the author published “the Last Man”. The book tells the story of a future world that has been ravaged by a plague (again a concept that was revived and recreated many times in recent years). 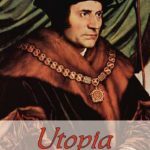 Utopia by Thomas More (1516) was published during the age of enlightenment. An Era which considered ideas based on reason as a primary source of authority resulting in progressive ideals such as liberty, tolerance, separation of church and states and the wake of scientific discoveries. 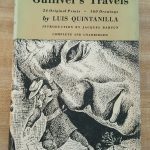 Gulliver’s Travels by Jonathan Swift (1726) was published during the age of reason when there was a high rate of interest in scientific discovery. This influenced authors for the creation of speculative fiction, which anticipated what is known in more recent science fiction. Many of the authors’ work were based on travels, travels to the moon or space travel. .According to K. Wilson (2010) the term science fiction was considered as a term for creation & innovation. Science Fiction presented the elements of science within a story of a different reality for audiences to enjoy. In the current age science and technology are responsible for the changes in our daily live. The notion that change is occurring constantly has never been so strong. And indeed we have to adjust to the changes or we will be adjusted by them. Just think about how our lives has changes because of social media and you’ll get the idea. What do you think of the origins of science fiction? Feel free to leave your comments. I would love to hear from you. I loved this article. It was really enlightening. I have never really thought before about when science fiction began. I have always loved the classics but I didn’t really think about its origins. Isn’t the first sci fi to be put on film the spaceship that crashes into the moon? I think it is. You are right. Created in 1902 it is considered to be the first science fiction film made. It’s interesting to think about how things have changed so drastically over the past few hundred years. That is really not a long period of time but what used to be science fiction is absolute reality. Sometimes I think about what is science fiction to us now, and how 2 hundred years from now it will be reality. What will be science fiction then? It is very interesting to think about. I hope that as we move forward and progress we will challenge ourselves to think further ahead to discover or explore new theories and concepts. Using the “What if” question to those theories new ideas will be created that will be reflected in movies. At least that is what I hope will happen. I would like to see a focus on new ideas and not a constant rebooting & remaking of movies. I’m a big fan of Sci-Fi movies. Never knew how it all began. It’s great to know the origin of these classics. I’m always in search for good Sci-Fi pieces to see and I will keep checking your recommendations in future! I really enjoyed your page and would like to say good job. I think the generation today does not know what real science fiction is. The classics brought to us old timers is was the best. I I forgot how much I really did miss these types of movies until your page was brought to my attention. I think its time to break out the old movies and pop some popcorn. Thank you for your comments Mark! I like how you just get to the point hear about where the term sci-fi, and the concepts of the genre came from – Utopia, and Gullivers travels are legendary writings really. Anyway great work. Star wars most definitely yes. Alien Convenant not so much (not much of a fan of Prometheus). What do you think about time travel concept? Thanks for your comments Cristina! I like Time Travel. I am currently watching Timeless and Legend of Tommorow. It was written by a teenager. Mary got the idea from a dream she had. Mary wrote this novel after her baby died. Frankenstein was the name of the scientist. It wasn’t supposed to be the monster. It was considered to be the first science fiction novel. Interesting info Garen! There are a few debates whether its considered the first science fiction novel or not. 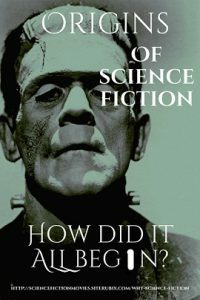 Like I mentioned: before Frankenstein was published there were many stories already known that would be categorized as science fiction. The term just didn’t exist when they were published. Hi great and interesting article on the origins of science fiction. I love watching science fiction films but never really knew how the stories began. This article has made me learn how they all started. Science is evolving all the time. Who would have thought 5-10 years ago that we were going to have driverless cars for example. You are very right. There has been many changes through the years in the sci-fi genre and those changes will continue as science evolves. I am glad you found it interesting. Thanks a lot for stopping by! An informative article that I am happy to read. I remember I made a paper years ago on Frankenstein. It brings back memories. Will save it since I can’t seem to find my paper and my research. Wish I had a scanner back then. To be honest Star Trek was my first exposure to science fiction followed by Lost in Space and then Frankenstein. By then I was not aware that Frankenstein was one of those films that were significantly important for the genre. The other 2 stories you mentioned I recognized because they were on my literature list in high school. Many people are not so familiar with them so it’s nice to see you’re giving them some attention. Thanks a lot for commenting. You are probably not the only one who became a sci-fi fan through Star Trek.